Magdeburger Joe.com: What Was That Song on the Radio ? Once I was riding in traffic on Flatbush Avenue in Brooklyn. It was perfect motorcycle weather. The city felt like it was in complete harmony. When I was stopped at a light, there was a guy in front of me who was blasting his car stereo. The driver next to him complimented him on the music. They got into a conversation. The guy who was blasting the music popped the CD out of the stereo, got out of his car and gives the CD to the other driver. Who says New Yorkers aren't friendly? I've never given away a CD in traffic, but I have turned on other drivers to Ismael Lo of Senegal, Crvena Jabuka of Bosnia Hercegovina as well as other musical talent. My wallet is full of scraps of paper full of names I get from taxi drivers and store clerks who turn me on to world music and films. Until recently, I was always annoyed when I was on an old fashioned radio and I could not identify a song. All too often, the announcer would not identify the song. It happened again today. I was listening to 101.9 WRXP, which is a rock station in New York City. I was driving on an errand for my work, listening to a low tech radio with a digital display. Predictably, the deejay didn't identify the song. My search was complicated by being uncertain of the song's title, which I mistakenly thought was "Disarray" or "Desiree". In the old days, I would have chalked it up as a loss. I may have even called the radio station to help me identify the song. This time, I got resourceful. I gave up on naming the song. Instead, I noted the time that the song finished, as well as the station frequency. I found the web site address by googling 101.9. When I got to the site, I went to a section headed "Now Playing". When you click on that page, it not only gives you the song currently playing. It also gives you the previous two weeks of playlists for each calendar day. It even gives you the option of purchasing the songs you like on I Tunes. 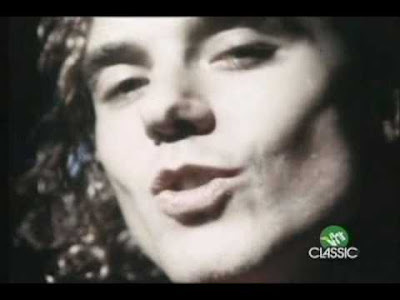 The song I liked so much was "Glycerine" by Bush. I checked it out on You Tube and that was indeed the song I found so engaging. Often, You Tube will have purchase options available for songs that is worked into the You Tube videos. I told one of my kids about my way of tracking down a song. She had thought of it on her own, and didn't think it was a big deal. I'm from the rotary dial generation. To me it was like discovering America. It seems that new technology is in the process of changing the music market. I seldom have enough money for complete CD's. But an impulse purchase of a dollar a song is well within my budget. No one told me I could write down a tome and a station frequency and go home and buy the song. It's an opportunity that did not exist when I was a kid. There should be more information put out on how to buy the music we hear. The music industry is losing business to down loaders. The convenience of this method of shopping should become better known, not just to the technically knowledgeable young people but older people as well.